There are lots of health benefits in Plantain (Raw Banana). In Tamil we call it as Valakkai. It’s considered as Vegetable not fruit. It cannot be consumed raw, it could be either boiled or steamed before eating. It’s rich in dietary fiber, Vitamin A, B-6, C , Potassium and Carbohydrate. There are many ways of making this Valakkai Poriyal. But this one has special touch with flavored spices. Try it out. 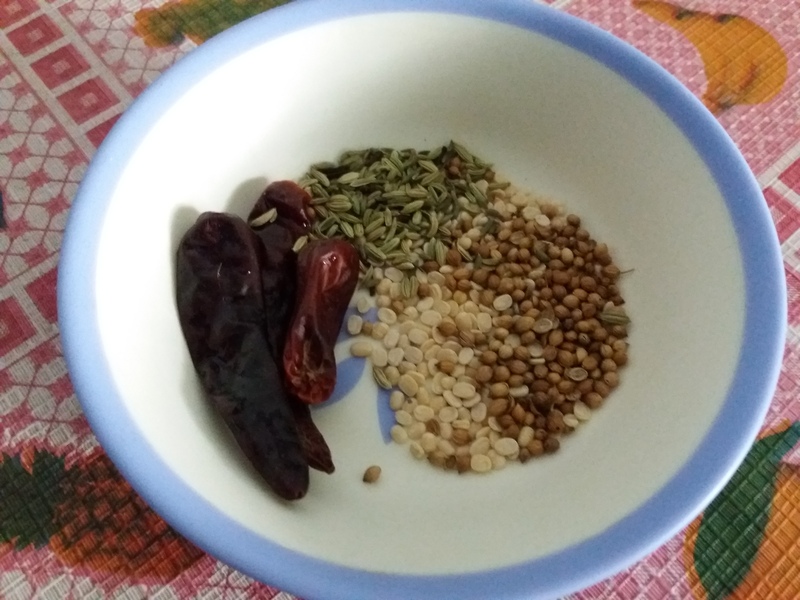 I am sure you will feel the difference in taste due to home made spice masala. Urad dal – 2 tbsps. Fennel seeds – 2 tbsps. Coriander seeds – 2 tbsps. Mustard seeds, cumin seeds – 1 tsp. 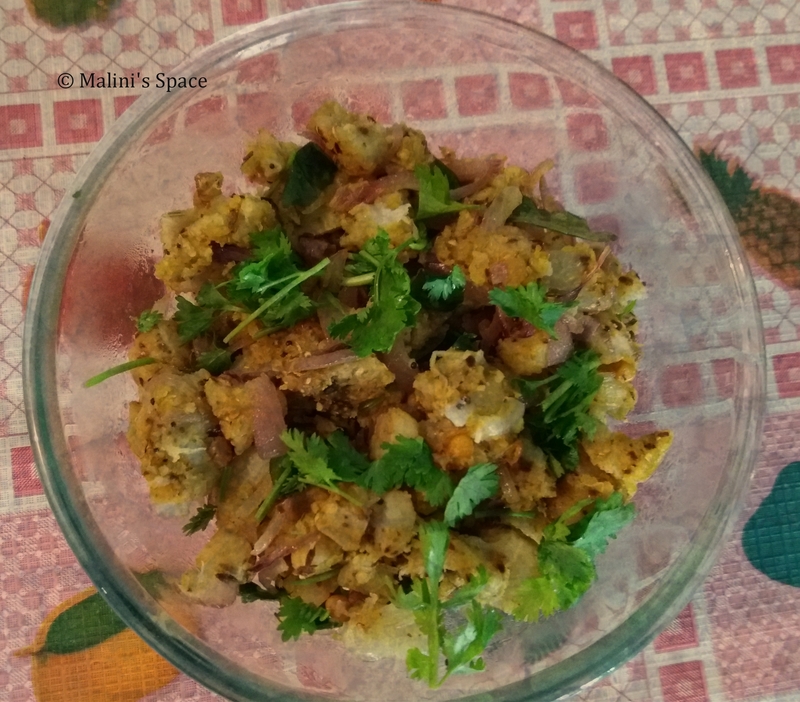 Coriander leaves – required level. 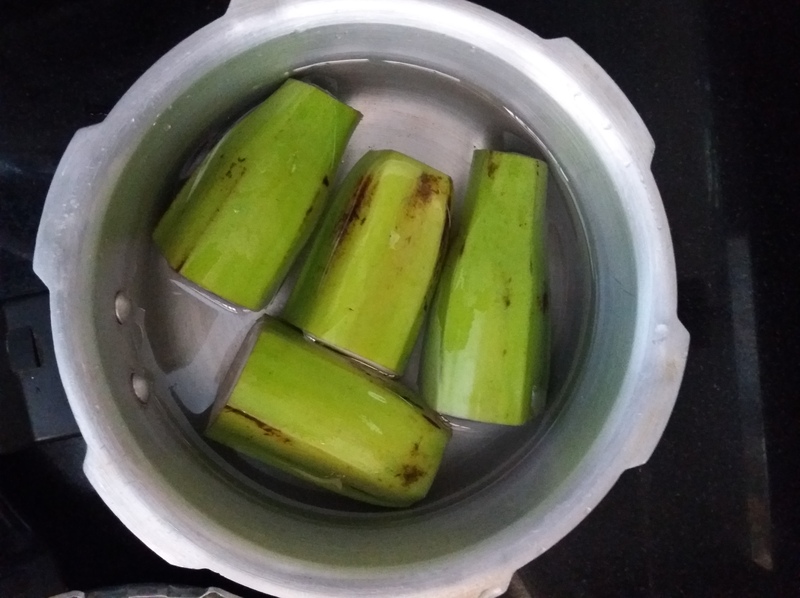 Steam or boil the Valakkai (plantain) with skin in Cooker for 5 to 6 mins. Once it is done, remove the skin and mash up the cooked Valakkai well. Take the spices (urad dal, fennel seeds, coriander seeds and red chili). Dry fry it until it leaves a good aroma and then keep it aside. Grind the spices in mixer. Take the grated coconut and dry roast it in simmer. Once it turns into golden brown color, keep it aside. 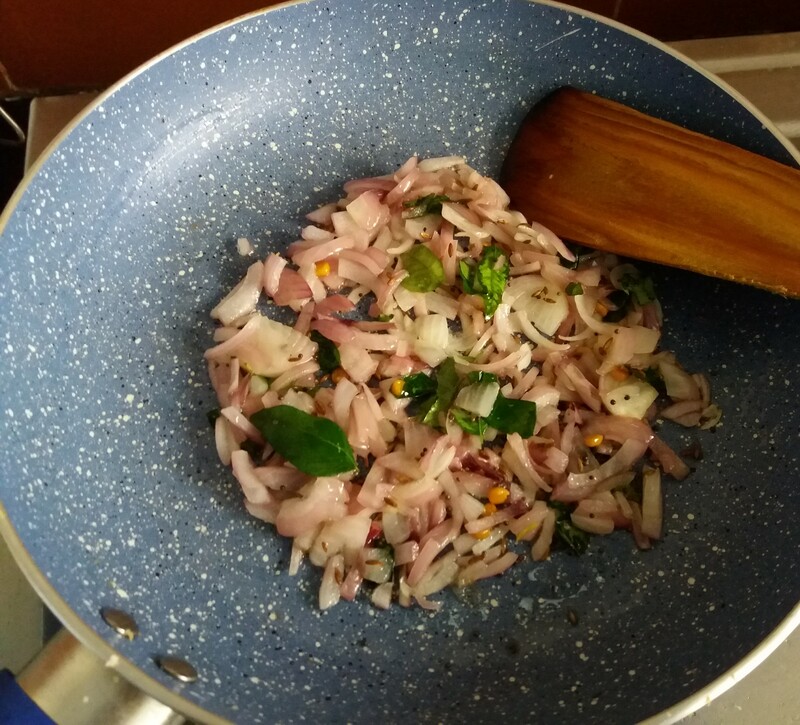 Now add oil into the pan, then add mustard and cumin seeds, after a few seconds, add onion and curry leaves. Fry until the onion turns into brown color. Now add the mashed banana, mixed spices and coconut and stir well, until everything blends well. Add required amount of salt and mix well. 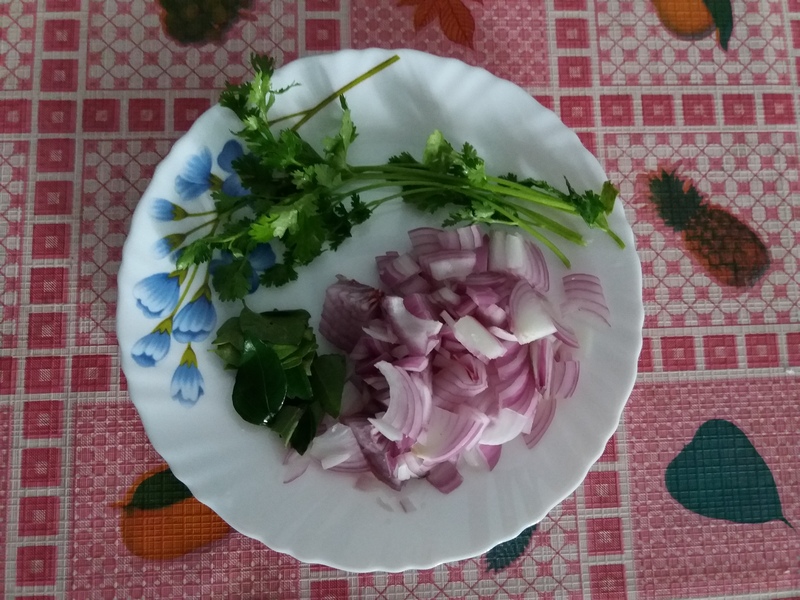 Once it is done, add coriander leaves and serve hot with rice. 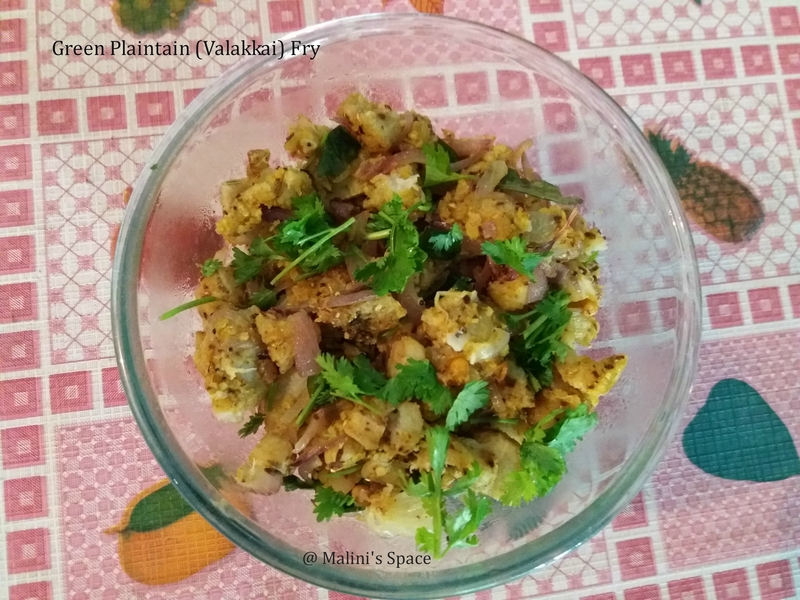 Yummy and healthy plantain fry is ready to serve.